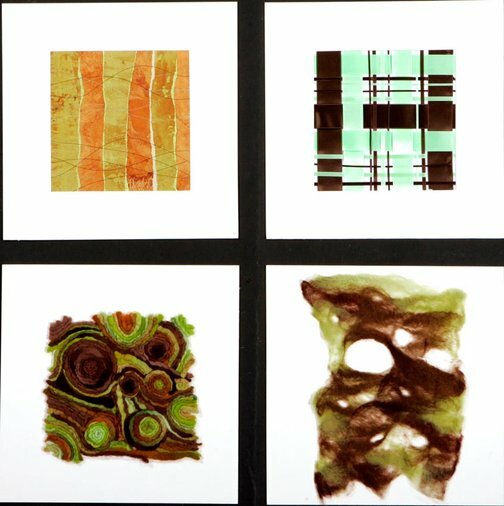 Exploration of natural surfaces is an abstract series of pieces that explores a variety of traditional and experimental textile and fibre techniques. The limited colour scheme and organisations is derived directly from observing nature. This examination produced artworks that are at times formal and schematic but at other times spontaneous and tactile.